You’ve reached April Avey Trabucco. 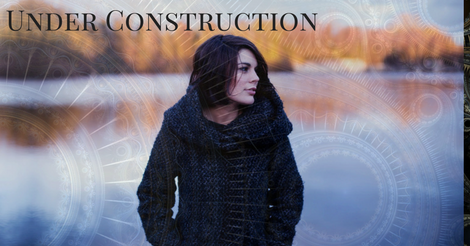 My life is under construction right now, but something good is coming soon. I’ll return your inquiry as soon as I’ve worked out the kinks. As far as the site goes – I’ve lost a year’s worth of content and admin updates. But, I’ve found a solution and I’m handling it. 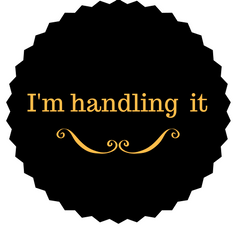 I’m Handling It is my post-divorce mantra. This is actually a big deal for me. I’ve built an arsenal of healthy coping skills over the past year and as a result, I’m so much more capable. That doesn’t mean I have all my ducks in a row, but it does mean I know where they are and I’m slowly lining them up. I’m a recovering people pleaser. I absorbed misdirected blame and doled out unnecessary apologies for years and it’s a hard habit to break. Breaking habits isn’t always pretty. There’s some rubble. Among the debris are glimmers of beauty. I appreciate the goods things so much more and for the most part – thanks to prayer, therapy, and anxiety medication – I’m more chill about the bad things. So, I lost a significant chunk of content on my blog. When my son makes a mistake on one of his drawings, I tell him to turn that mistake into something beautiful. I can do that too. Just wait, good things are coming.